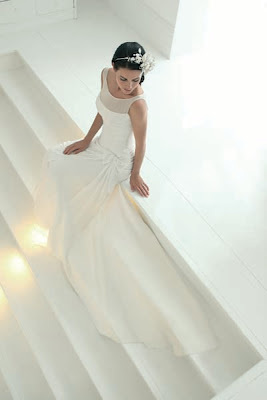 For the budget conscious Galway bride there is no need to sacrifice style for your perfect wedding dress desires! Kadee “Pop Up” Bride are offering 80% discount off the retail price on leading designer sample gowns and an amazing prize to be won by one lucky lady, read on...! This is a fantastic opportunity to view Kadee’s exclusive 2011 bridal collection at their stylish pop up shop in Galway Bay Hotel on Sunday, April 10th. The renowned, fashion forward bridal boutique has designed a “pop up shop” full of exquisite designer bridal gowns for Galway’s/all bridal fashionistas. All are invited to enjoy a champagne reception and check out the outstanding bridal designs with receive the very best style advise. Kadee Bride is offering 10% discount on all orders placed on the day. Designers on view include; Suzanne Neville, Amanda Wakeley and many more….! All dresses are made to order so appointments are recommended and can be made in advance with Deirdre Kelly, proprietor of Kadee and style expert (090 649 8355) hourly from 12noon – 6pm. All sample sale wedding gowns will be selling under €500 therefore this is the perfect opportunity to get your dream dress at a dream price! Also available at this limited bridal pop up shop will be veils and accessories. Brides will be happy to learn that Kadee will be offering discounts on accessories and veils for one day only. And that’s not all..The stylish ladies who visit the Kadee Bride Pop up Shop will be entered into free draw to win 50% off any purchase on the day and accommodation for 2 in the luxurious Galway Bay Hotel (Bed & Breakfast midweek for 2) who prides itself on being one of the premier wedding venues in the West of Ireland. Over the past twelve years the Galway Bay Hotel has provided couples with a stunning waterside location, highly professional management and staff, charming personality and many happy memories to cherish for years to come. Also, for all stylish guests and mothers of the bride/groom the full Linea Raffaelli occasion wear collection will be available on the day - perfect stylish and sophisticated designs which offer truly feminine occasion wear with a contemporary edge. Silks, taffeta, prints, organza, appliqués and corsages are brought together to give elegant outfits a unique quirky edge, suitable for that special occasion. Additional designer labels will include: Fenn Wright Manson, Tricot Chic, Oky Coky, Libelula, Occassions and head dresses from milliner Viven Sheriff. Kadee Bride formerly Touch of Class, offers a bridal shopping experience second to none for service, intimacy, experience and style for the most fashionable bride. 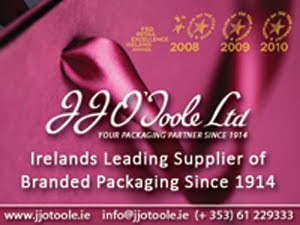 Visit www.kadee.ie and make your dreams come true. I am looking for a summer collection, and some night dress. If you have availability in bulks, kindly let me know. Thanks!